Cholesterol is a health buzzword. It is blamed, whether rightly or wrongly, for a large amount of the health issues we get as we age- particularly those involving the heart. Statins (aka HMg-CoA reductase inhibitors) assist reduction in cholesterol by limiting the amounts of an enzyme which is essential for its production. Everyone is on a station. Ask your parents, your aging uncle, your work colleagues. Someone will be taking them. GPs notoriously give out statins to reduce cholesterol in attempts to reduce the impact and prevalence of heart disease. This article aims to help you take back control and prevent you needing to take statins to manage your cholesterol. Instead we will discuss how you can be use your nutrition plan and effectively diet to minimise or reduce your cholesterol level. Cholesterol is an organic molecule known as a sterol. It is also a lipid (fat) which is produced by animals. In fact cholesterol is the most commonly discussed and analysed form of animal sterol. It’s function is as an essential part of animal cell membranes to prevent the need for a cell wall. Cell walls are present in plants and fungi cells to predominantly prevent cells exploding under the pressure of too much water. However, the inclusion of cholesterol in animal cells walls ensures structural integrity alongside the ability remain fluidity to the animals movements. Cell walls restrict movement of plants, which is not the case in animals. Cholesterol is also a precursor to fat soluble vitamins (such as vitamins A, D, E and K) and the five major classes of hormones (e.g. progestagens, glucocorticoids, mineralocorticoids, androgens, and estrogens). Hyperlipidaemia is the abnormally elevated concentration of lipids (fats) or lipoproteins (fat + protein molecules) in the blood. These lipids predominantly include cholesterol and triglycerides (a type of dietary fat found in meats, dairy products and cooking oils). Now whilst cholesterol is an essential component to our bodies cells, essentially if the levels of these molecules rise too high, hyperlipidaemia ensues and it becomes dangerous to our bodies. In fact hyperlipidaemia is a common risk factor for the development of cardiovascular disease (1). When there is a build up of cholesterol in your circulatory system it will collect inside the walls of your blood vessels, which narrows the arteries and impedes flow of blood from the heart. This can lead to heart tissue ischaemia, cell death, pain and eventually heart failure. This narrowing is called atherosclerosis. The main form of cholesterol which causes atherosclerosis is low density lipoprotein (LDL). It’s less harmful counterpart is HDL (or high density lipoprotein) which also travels around the blood system. A final form of lipid in our blood, which is unfortunately also a contributor to cardiovascular disease are triglycerides. Whilst statin medications are often prescribed, it is largely recommended that non-pharmacological treatment should be the go to therapy for those with hyperlipidaemia (3). Based upon this premise, the National Cholesterol Education Program devised the Therapeutic Lifestyle Changes (TLC) approach (4), which highlights diet as an essential component of the health strategy required to balance levels of total cholesterol, LDL, HDL and triglycerides. Beyond this work other reviews are available which comprehensively examine the influence diet has on blood fat levels and the association with cardiovascular disease (5-6). In essence dietary recommendations for lowering cholesterol can be summarised into two distinct ideas. 1) Reduction of saturated fat and LDL cholesterol by reducing specific foods of animal origin as this will reduce total levels of cholesterol and triglycerides. For example, a vegetarian diet which minimised saturated fat and cholesterol intake (due to minimal animal product consumption) reduce levels of LDL cholesterol by 17-40% (9-10). These steps could also assist to reduce triglyceride levels by 20% (11). 3) Increased consumption of soluble fiber which allows cholesterol to be bound to bile acids and excreted in the gut (13). An 8g per day intake is suggested to lower both total cholesterol and balance levels of LDL vs HDL (14). Common forms of soluble fibre include fruits, vegetables, oats and barley. We will now examine some of the best foods to assist cholesterol lowering to help you plan a low-cholesterol diet with ease! On the whole, people are wary of eating too many nuts, simply because they are full of fats and dietary fats (as mentioned) have become synonymous with heart disease. However, a large base of scientific studies suggest that the most important factor to consider is the type of fat consumed, rather than the total amount of fat in the diet (15). Nuts predominantly contain monosaturated and polyunsaturated fats which help reduce LDL cholesterol levels (rather than the bad saturated and trans fats). Additionally, nuts contain other positive biologically active compounds for heart health; including plant proteins high in arginine, fibre and magnesium (16); anti-oxidant tocopherols (17); and phytosterols (plant compounds) (18). These extra components in nuts help reduce LDL cholesterol and attenuate heart disease risk. General studies examining the association between consumption of nuts and coronary heart disease show that in those eating nuts >5 times per week risk of heart disease is reduced by 35% (15). These results are supported by other studies examining this relationship (19-20). In studies generically examining tree nuts (such as cashews, almonds, pecans and walnuts) data indicates that increasing consumption can reduce levels of LDL cholesterol by 2-19% compared to “low fat” diets (21-22). Of course because of the high calorie density of nuts, it is considered that they should be isocalorically substituted for other foods. Recommendations suggest approximately 1-3g per day at least 5 days per week (22-23). With this in mind, it is worth examining which nuts are the best pick to include in your diet. Studies demonstrate that a diet high in walnuts causes a 12-16% reduction in both total and LDL cholesterol levels, compared to a control diet (24). This was alongside a decrease in the LDL: HDL ratio by 12% (15). The positive benefits of diets high in whole almonds to reduce risk of coronary heart disease and cholesterol levels has been established (25-26). A more recent study aimed to identify how whole almond consumption can decrease heart disease risk by examining the fatty acid composition of these nuts and the effect of intake in individuals with diagnosed hyperlipidaemia (27). This study examined 27 people with hyperlipidaemia who were given a 3 month diet with 1 month phases of either full, half or zero dosages of almonds. Their results showed an inverse association between almond intake and risk score for heart disease (as more almonds were consumed, risk scores reduced). They also showed increases during the full and half almond phases of oleic acid, monounsaturated fatty acids, triacylglycerol and non-essential fatty acids which were positively associated with changes in HDL-cholesterol concentrations. Thus showing the rise in healthy cholesterol and lowering of heart disease risk. One particular study (22) examined the effect of a high cashew nut diet on 64 individuals with metabolic syndrome over 8 weeks. This study is highlighted as one which contradicts the benefits of nut consumption for serum levels of cholesterol, as in these groups there was no significant change in total cholesterol or LSL: HDL ratio. However, a couple of points need to be made to clarify these findings. Firstly, by the authors’ admission the group given a cashew diet started with a low baseline LDL-cholesterol level, which may have hidden any benefit which could have been caused. Secondly, when dealing with subjects who have obesity and metabolic syndrome, the cholesterol-lowering response is likely to be lessened (compared to lean individuals) as in obesity production of cholesterol is increased due to insulin resistance (28). 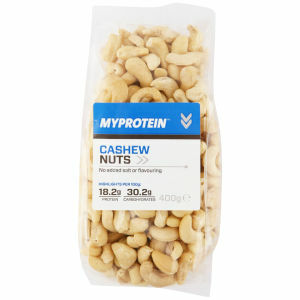 These factors, when placed alongside evidence indicating that cashews are part of the group of nuts which contain positive, health enhancing compounds such as oleic acid, linoleic acid, tocopherols and squalenes (29); highlight that the current evidence may underestimate the positive effect of cashew nuts on cholesterol risk. A cholesterol lowering association was also found with diets supplemented with macadamia nuts (30), pecans (31) and pistachios (32). A similar effect was seen with peanuts which in fact are not a nut, but rather are a legume (33). When studies examine the content, fatty composition and oxidative stability of nuts (such as Brazil nuts, pecans, pine nuts and pistachios) they find that these foods are excellent sources of cholesterol lowering agents. Namely, these nuts have high levels of oleic acid and linoleic acid; tocopherols and squalenes (a biosynthetic precursor to animal and plant hormones), which have positive benefits on reducing serum levels of cholesterol (17, 34). Now, do not despair if nuts are not your favourite snack as they are not the only cholesterol-lowering food stuff you can choose. For example, barley is a cereal grain which is a member of the grass family (think “garden” rather than “Snoop Dogg”). The sprout and extract of this cereal contains 4.9% fat, 52.6% carbohydrate (polysaccharide) and 34.1% protein (35). However, it also contains a variety of additional goodies include polyphenols and various antioxidants (36-37). One such compound is hexacosanol which is a saturated primary fatty alcohol, which is thought to improve cholesterol metabolism by reducing its production and comprises 62-80% of barley extract. This lipid alcohol combines with a water soluble fiber and polysaccharide to form a policosanol, which has also shown to reduce cholesterol levels (38-41). 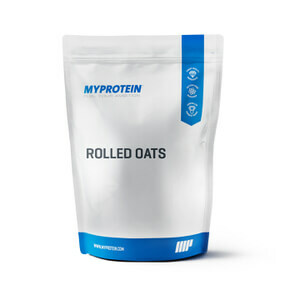 Another option to reduce cholesterol are oats. Due to their content of β-glucans, oats are considered to assist the management of cholesterol levels in those with hyperlipidaemia. β-glucans are a group of polysaccharides which naturally occur in cereals, and studies have examined the form of β-glucan in oats which are used to make bread. One study took 38 overweight males with mild to moderate hyperlipidaemia, who were given a diet containing bread which was made from 6g of β-glucan oats for 8 weeks (42). Their results indicated a 27.8% increase in levels of good HDL-cholesterol, as well as a significant reduction in total cholesterol and LDL-cholesterol levels. The reduction in non-HDL cholesterol levels was 8.4% greater in the oats group, compared to the control diet. This was alongside a 24.9% greater reduction in total cholesterol: HDL ratio, and a 28.8% greater reduction in LDL: HDL ratio. This study powerfully demonstrates the benefits of an oat diet which contains β-glucans to modify various aspects of cholesterol metabolism, even in overweight subjects. Another study examined whether oat milk which had insoluble fiber removed would influence levels of total cholesterol and LDL in people with high cholesterol (43). They found that the oat milk caused a 6% lower total cholesterol and 6% lower LDL level compared with the control drink. This would indicate that oat milk (even when deprived of insoluble fiber) can provide cholesterol reducing benefits. A final study compared the benefits of rice bran versus oat bran to see the effect on people with hyperlipidaemia (44). Their results found that both rice and oat bran similarly reduce total cholesterol although oat bran had a 4.3% greater effect. Additionally, both bran types saw changes in LDL-cholesterol with oats having a 3.4% greater benefit here also. With statin medications being one of the most commonly prescribed in the UK (45), the prevalence of high cholesterol seems to be sufficient to make it a significant health issue for our population. This article outlines some of the benefits of modifying your diet to include various cholesterol-lowering foods (e.g. nuts, oats and barley) so that you can make positive changes to your nutrition plan and reduce both your current levels of cholesterol AND reduce your future risk of heart disease. Make the changes, take control and improve your health. Castelli, W.P., Garrison, R.J., Wilson, P.W., Abbott, R.D., Kalousdian, S. and Kannel, W.B., 1986. Incidence of coronary heart disease and lipoprotein cholesterol levels: the Framingham Study. Jama, 256(20), pp.2835-2838. Katcher HI, Hill AM, Lanford JL, Yoo JS, Kris-Etherton PM. Lifestyle approaches and dietary strategies to lower LDL-cholesterol and triglycerides and raise HDL-cholesterol. Endocrinol Metab Clin North Am. 2009;38(1):45-78. Van Horn L, McCoin M, Kris-Etherton PM, et al. The evidence for dietary prevention and treatment of cardiovascular disease. J Am Diet Assoc. 2008;108(2):287-331. Mensink RP, Zock PL, Kester AD, Katan MB. Effects of dietary fatty acids and carbohydrates on the ratio of serum total to HDL cholesterol and on serum lipids and apolipoproteins: a meta-analysis of 60 controlled trials. Am J Clin Nutr. 2003;77(5):1146-1155. “The Lipid Research Clinics Coronary Primary Prevention Trial results. I. Reduction in incidence of coronary heart disease,” JAMA, vol. 251, no. 3, pp. 365–374, 1984. Ornish D, Scherwitz LW, Billings JH, et al. Intensive lifestyle changes for reversal of coronary heart disease. JAMA.1998;280:2001–2007. Barnard ND, Scialli AR, Bertron P, Hurlock D, Edmonds K, Talev L. Effectiveness of a low–fat vegetarian diet in altering serum lipids in healthy premenopausal women. Am J Cardiol.2000;85:969–972. Pelkman CL, Fishell VK, Maddox DH, Pearson TA, Mauger DT, Kris–Etherton PM. Effects of moderate–fat (from monounsaturated fat) and low–fat weight–loss diets on the serum lipid profile in overweight and obese men and women. Am J Clin Nutr.2004;79:204–212. Kris–Etherton PM, Yu–Poth S, Sabate J, Ratcliffe HE, Zhao G, Etherton TD. Nuts and their bioactive constituents: effects on serum lipids and other factors that affect disease risk. Am J Clin Nutr.1999;70:504S–511S. I Jenkins DJ, Kendall CW, Vuksan V, et al. Soluble fiber intake at a dose approved by the US Food and Drug Administration for a claim of health benefits: serum lipid risk factors for cardiovascular disease assessed in a randomized controlled crossover trial. Am J Clin Nutr. 2002;75: 834–839. Rimm EM, Stampfer MJ. 1997. The role of antioxidants in preventive cardiology. Curr Opin Cardiol 12:188_194. Maguire LS, O’Sullivan SM, Galvin K, O’Connor TP, O’Brien NM. 2004. Fatty acid profile, tocopherol, squalene and phytosterol content of walnuts, almonds, peanuts, hazelnuts and the macadamia nut. Int J Food Sci Nutr 55:171_178. Albert CM, Gaziano JM, Willett WC, Manson JE. 2002. Nut consumption and decreased risk of sudden cardiac death in the Physicians’ Health Study. Arch Intern Med 162:1382_1387. Fraser GE, Sabate J, Beeson WL, Strahan TM. 1992. A possible protective effect of nut consumption and risk of coronary heart disease. The Adventist Health Study. Arch Intern Med 152:1416_1424. Griel AE, Kris-Etherton PM. Tree nuts and the lipid profile: a review of clinical studies. Br J Nutr. 2006;96(suppl 2):S68–S78. Mukuddem-Petersen J, Oosthuizen W, Jerling JC. A systematic review of the effects of nuts on blood lipid profiles in humans. J Nutr. 2005;135(9):2082–2089. Spiller GA, Jenkins D, Cragen LN, Gates JE, Bosello O, Berra K, Rudd C, Stevenson M, Superko R. 1992. Effect of a diet high in monounsaturated fat from almonds on plasma cholesterol and lipoprotein. J Am Coll Nutr 11:126_130. Abbey M, Noakes M, Belling GB, Nestel PJ. 1994. 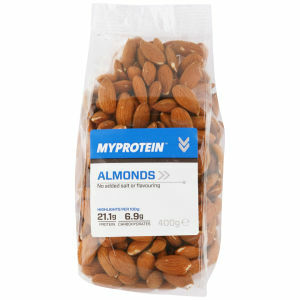 Partial replacement of saturated fatty acids with almonds or walnuts lowers plasma cholesterol and low density lipoprotein cholesterol. Am J Clin Nutr 59:995_ 999. Nishi, S., Kendall, C.W., Gascoyne, A.M., Bazinet, R.P., Bashyam, B., Lapsley, K.G., Augustin, L.S., Sievenpiper, J.L. and Jenkins, D.J., 2014. Effect of almond consumption on the serum fatty acid profile: a dose–response study. British Journal of Nutrition, 112(07), pp.1137-1146. Ryan, E., Galvin, K., O’Connor, T.P., Maguire, A.R. and O’Brien, N.M., 2006. Fatty acid profile, tocopherol, squalene and phytosterol content of brazil, pecan, pine, pistachio and cashew nuts. International journal of food sciences and nutrition, 57(3-4), pp.219-228. Garg ML, Blake RJ, Wills RB. 2003. Macadamia nut consumption lowers plasma total and LDL cholesterol levels in hypercholesterolemic. J Nutr 133:1060_1063. Rajaram S, Burke K, Connell B, Myint T, Sabate J. 2001. A monounsaturated fatty acid-rich pecanenriched diet favorably alters the serum lipid profile of healthy men and women. J Nutr 131:2275_2279. Edwards K, Kwaw I, Matud J, Kurtz I. 1999. Effect of pistachio nuts on serum lipid levels in patients with moderate hypercholesterolemia. J Am Coll Nutr 18:229_232. Byun, A.R., Chun, H., Lee, J., Lee, S.W., Lee, H.S. and Shim, K.W., 2015. Effects of a dietary supplement with barley sprout extract on blood cholesterol metabolism. Evidence-Based Complementary and Alternative Medicine, 2015. F. Ferreres, Z.Krˇskov´a, R. F.Gonc，alves et al., “Freewater-soluble phenolics profiling in barley (Hordeum vulgare L.),”Journal of Agricultural and Food Chemistry, vol. 57, no. 6, pp. 2405–2409, 2009. K. R. Markham and K. A. Mitchell, “The mis-identification of the major antioxidant flavonoids in young barley (Hordeum vulgare) leaves,” Zeitschrift furNaturforschung Section C: Journal of Biosciences, vol. 58, no. 1-2, pp. 53–56, 2003. G. H. McIntosh, J. Whyte, R. McArthur, and P. J. Nestel, “Barley and wheat foods: influence on plasma cholesterol concentrations in hypercholesterolemic men,” The American Journal of Clinical Nutrition, vol. 53, no. 5, pp. 1205–1209, 1991. G. S. Ranhotra, J. A. Gelroth, S. D. Leinen, and R. S. Bhatty, “Dose response to soluble fiber in barley in lowering blood lipids in hamster,” Plant Foods for Human Nutrition, vol. 52, no. 4, pp. 329–336, 1998. W. D. Seo, H. J. Yuk, M. J. Curtis-Long et al., “Effect of the growth stage and cultivar on policosanol profiles of barley sprouts and their adenosine 5?-monophosphate-activated protein kinase activation,” Journal of Agricultural and Food Chemistry, vol. 61, no. 5, pp. 1117–1123, 2013. D. K. Singh, L. Li, and T. D. Porter, “Policosanol inhibits cholesterol synthesis in hepatoma cells by activation of AMP-kinase,” Journal of Pharmacology and Experimental Therapeutics, vol. 318, no. 3, pp. 1020–1026, 2006. Reyna-Villasmil, N., Bermúdez-Pirela, V., Mengual-Moreno, E., Arias, N., Cano-Ponce, C., Leal-Gonzalez, E., Souki, A., Inglett, G.E., Israili, Z.H., Hernández-Hernández, R. and Valasco, M., 2007. Oat-derived β-glucan significantly improves HDLC and diminishes LDLC and non-HDL cholesterol in overweight individuals with mild hypercholesterolemia. American journal of therapeutics, 14(2), pp.203-212. Önning, G., Wallmark, A., Persson, M., Åkesson, B., Elmståhl, S. and Öste, R., 2000. Consumption of oat milk for 5 weeks lowers serum cholesterol and LDL cholesterol in free-living men with moderate hypercholesterolemia. Annals of Nutrition and Metabolism, 43(5), pp.301-309. Gerhardt, A.L. and Gallo, N.B., 1998. Full-fat rice bran and oat bran similarly reduce hypercholesterolemia in humans. The Journal of nutrition, 128(5), pp.865-869. NICE implementation uptake report: statins for the prevention of cardiovascular events. In: NICE technology appraisal 94 (Excellence NIfHaC, ed). London: NICE. 2008.